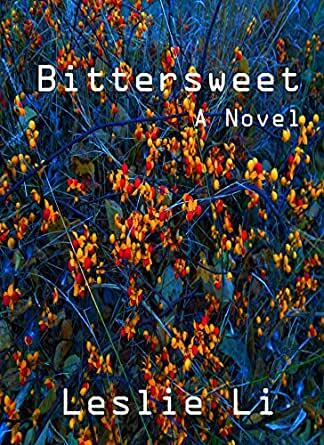 A compelling first novel about love, war, family and one woman's life of great hardship and even greater triumph. From the last days of the warlords to the tragedy at Tiananmen Square, it is the 100-year odyssey of Bittersweet, a headstrong peasant woman who rises from poverty and endures abandonment, patriarchy and revolution as the wife of the second most powerful man in China. This gripping story was inspired by the lives of the author's grandfather, the first democratically elected Vice President of China and subsequently Acting President, and her grandmother, a woman you won't soon forget. I was fascinated reading through the scope of years this story transversed. It caused me to pull out Wikipedia and read up on some of that period in China's history and fit together pieces that I had never put together. I cared about the characters, I cared about their hurts and meanwhile I learned about cultural norms of the time. The years passed and with them, the culture changed; Li described these changes and their impact on the characters and on China as the story progressed. I couldn't wait to read what was going to happen next. Very difficult to put down. Fascinating story of love and life of the Chinese people. The descriptions of the flowers and trees were so wonderful, you feel as tho you could smell them. 5.0 out of 5 starsGreat learning experience. This was a well written book and I learned a lot from it. I was so interested in the history of China and how it changed over the years - politically and culturally. I didn't want it to end. Excellent, detailed description of Chinese history and culture before the cultural revolution with special emphasis on family values and traditions.